Copolymer lines occupy an interesting space in the world of fishing. Technically, copolymer lines are just monofilament lines. ​However, they’ve been crafted with a blend of different nylon strands to create a line with a different feel. They also carry slightly different characteristics than standard nylon monofilament. At first glance, copolymer may look just like standard monofilament. A long strand of nylon is stretched out and creates a fishing line. However, as different types of nylon polymers are blended together, manufacturers can fine-tune the process. This crafting helps to create lines with different characteristics than standard mono lines. Let’s take a deeper look at the specifics of copolymer lines. We'll review advantages, disadvantages, and appropriate applications. ​After that, we’ll take a look at some of the leading copolymer lines on the market, and give you some product recommendations. Copolymer lines are usually stronger than comparable standard monofilament lines that are crafted from just one polymer, and this allows them to be slightly thinner than comparable monofilament and fluorocarbon lines, making them great for heavy-duty crankbaiting applications, or for heavy fishing. And though copolymer lines are stronger than most mono lines, they still maintain the impact resistance that mono is famous for, stretching when necessary to ensure that your line doesn’t break when you get a heavy bite. Copolymer lines are generally quite a bit stiffer than standard monofilament lines, which makes them great if you’re looking to get a bit more sensitivity to smaller bites, but still want a bit of stretch and the abrasion resistance that monofilament lines are known for. Copolymer lines have less line memory than monofilament lines, making them easier to manage and deal with for extended periods of time. Fewer snags, less time untangling, and more time on the water. Like most monofilament and fluorocarbon line, copolymer lines have a refraction index quite similar to the water, which helps them disappear and reduces the risk of spooking fish with a visible line. Copolymer lines are generally sinkable, unlike monofilament lines which have a tendency to float on the surface, so they’re a better choice for suspender rigs or bottom fishing, especially if you still want to maintain the characteristics of standard mono. Copolymer lines are more water-resistant than their monofilament brethren, and won’t lose strength or absorb water, making them a better choice for extended periods of submersion. While copolymer is less visible in the water than some fluorocarbons and all braided superlines, it’s still more visible than a standard fluorocarbon line, so if you seriously need to make sure that fish don’t see your line, it may not be the best choice. Copolymer lines are more expensive than comparable monofilaments, as they use a blend of different nylons and require a more complex production process. Copolymer, being made out of nylon monofilament, still has a rather low longevity compared to most fluorocarbons and braided superline, with line memory often becoming an issue after more than a year. Copolymer lines are a great choice for deep-water crankbaiting. Strong, and with a neutral-sinking profile and plenty of water resistance, you’ll be able to crank away as hard as you want and know that your line is going to be able to keep up. The neutral-sinking profile of copolymer line makes it ideal for suspension fishing, or even some swimbaiting if you’re aiming for a specific depth in the water column. Copolymer line can easily be rigged to run on the bottom of the water, and its stretch, durability, and absorbency make it a great choice when you’re jigging in tough conditions – docks, weeds, rocks – whatever it may be, copolymer line can handle the stress and help you reel ‘em in. Copoly line is especially great for these applications, but it can also be used in pretty much any situation where you would use a monofilament line, but want the increased durability and characteristics that copolymer offers, such as in standard cast-retrieve fishing, and even some lake trolling. This line by KastKing is a great example of what to look for in copolymer line. 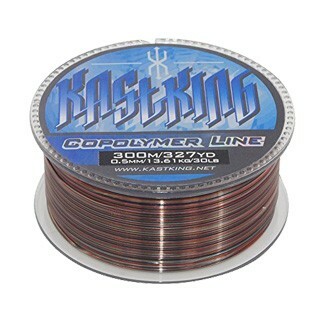 With a profile that’s less stretchy than monofilament, but not as stiff or unforgiving as braided lines, KastKing has also incorporated an abrasion-resistant polymer into the design of this line, giving it great strength while maintaining the shock-absorptive qualities that the best monofilament lines have. 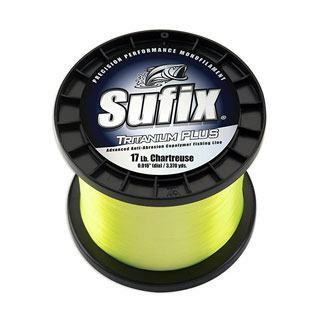 This line is also thinner than comparable monofilament, with a higher strength-to-diameter ratio that makes it ideal if you need to spool up quite a bit of line, or just prefer a lighter, easier-to-manage line. It’s also got quite a bit less line memory than comparable monofilaments, so it’s a fantastic choice if you’re looking to keep your lines on your rods a bit longer without having to replace them. And despite its many great qualities, this copolymer line is quite a bit less expensive than comparable fluoro and braided lines. This copolymer offering by P-Line offers maximum, tournament-grade durability, featuring a high-quality copolymer blend that incorporates a UV blocker for maximum longevity. Any user of monofilament or copolymer line knows how destructive the sun can be to even the best lines – extended exposure often weakens the line, and makes it more likely to snag, loop, or even snap. By incorporating a UV blocking agent into the copolymer blend, P-Line has avoided this problem entirely and made a copoly line that’s not only abrasion resistant, sensitive, and strong, but highly durable. It’s a great choice if you fish in very sunny locations, or if you tend to use the same line on your reel for extended periods of time. This copolymer line by Sufix has been crafted from a nylon copolymer blend that focuses both on abrasion resistance and a smooth, long, easy cast. The anti-abrasion formula makes this a great choice for fishing in dense cover, as you’ll not have to worry about line snaps if you run into some troublesome rocks, roots, or weeds. In addition, the ultra-smooth casting line with low line memory makes casting into these areas a snap, even if you need to be very accurate with each cast. Because of these characteristics, this line is especially well suited to flipping and pitching into dense, hard to reach areas that other lines can’t quite handle. If you’re looking to stock up on a bundle of high-quality copolymer for a great price, this line by P-Line is a great choice. This high-quality copolymer boasts a low stretch design, great strength, and a thin line profile that’s still ultra strong. It’s also available in 2-40lb weights, so no matter your quarry, you’ll find the appropriate size for you. You can even upsize your normal line weight and still fit all your line on your reel, given the smaller diameter of this copolymer line. 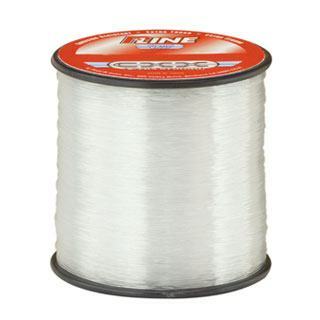 So whether you’re looking to restring a bunch of casting reels, cut out some sections to use as leaders, or just need plenty of line in reserve, this line by P-Line is great quality and a fantastic deal. Here’s something you don’t see every day – a braided copolymer monofilament line. That’s right – though superlines are usually made from more exotic materials, Spiderwire has crafted a high-quality, durable line with copolymer strands – with great results. The copolymer blend is over 33% stronger than standard monofilament, and when woven together into the braided design, its strength is increased even further. And despite the braided design, this line maintains a bit of stretchiness to give you some leeway if you get a particularly hard bite, or if you’re trying to set a hook and are wary of ripping through the mouth of your prey. The thin design also allows you to spool up more line, making this a great choice if you need to do some extended fishing, and it casts superbly – some users claim that they get up to 30% more casting distance due to the low line memory and frictionless design. It’s totally durable, extremely versatile, and usable in just about any situation – saltwater and freshwater alike. 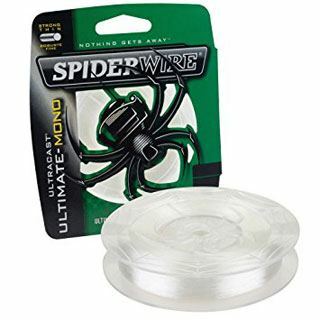 For that reason, and all the reasons listed above, this Spiderwire copolymer superline is a great choice. While it’s not necessarily better than monofilament or fluorocarbon, copolymer lines have many characteristics that make them a great choice for many applications, and every angler should have some copolymer line in their tackle box or garage. Given the different compositions and blends of nylon used, copolymer lines are versatile and can have diverse characteristics, even among offerings by the same company. 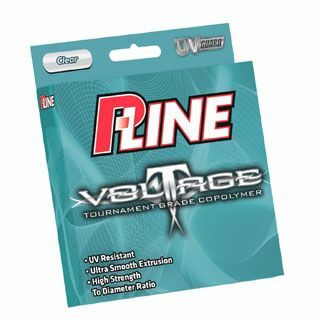 So whether you’re planning on doing some crankbaiting, setting up a midwater suspension rig, or getting ready for some shallow jigging, you may want to reach for copolymer line. Its strength, durability, and ease-of-use make it a fantastic choice, and once you’ve tried it out, you may never go back to mono lines again.